Hi y’all! This past week I was invited to preview a tour put on by an awesome company called Urban Adventures. Urban Adventures is a company that puts on tours that focus on local food and drink, the tour can be via bus or your own 2 feet and from the sound of it, there’s never a dull moment. I was able to take a small look into what a tour with Urban Adventures would be like and it was a pretty awesome experience. 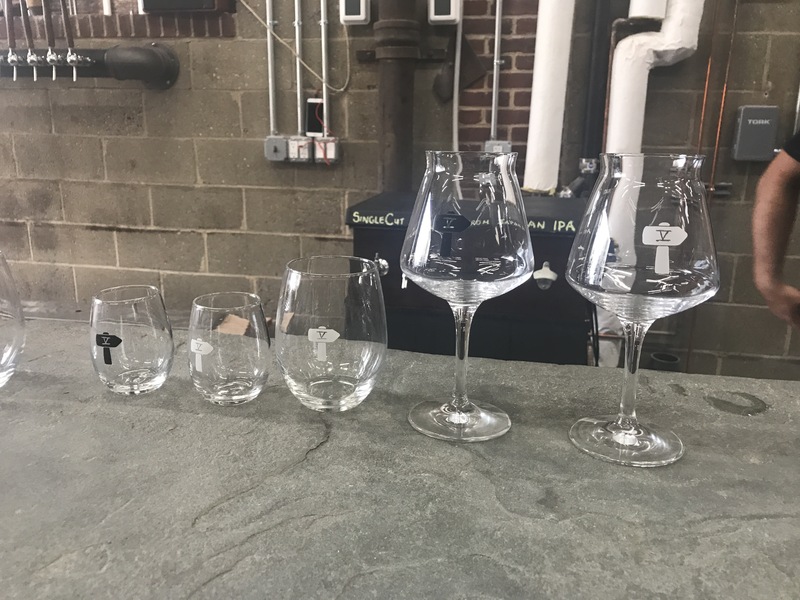 I was able to check out a small bit of their brewery, winery, distillery tour in Queens http://www.newyorkbeertours.com/ It started off at Fifth Hammer Brewing Co. , a brand new brewery in Long Island City. We were the first group of people to check out the new brewery (it doesn’t even have an opening date yet). Since they are still getting their feet off the ground we weren’t able to try any of their beer but they did let us try some beer from one of their brewery friends in the area…Yum. 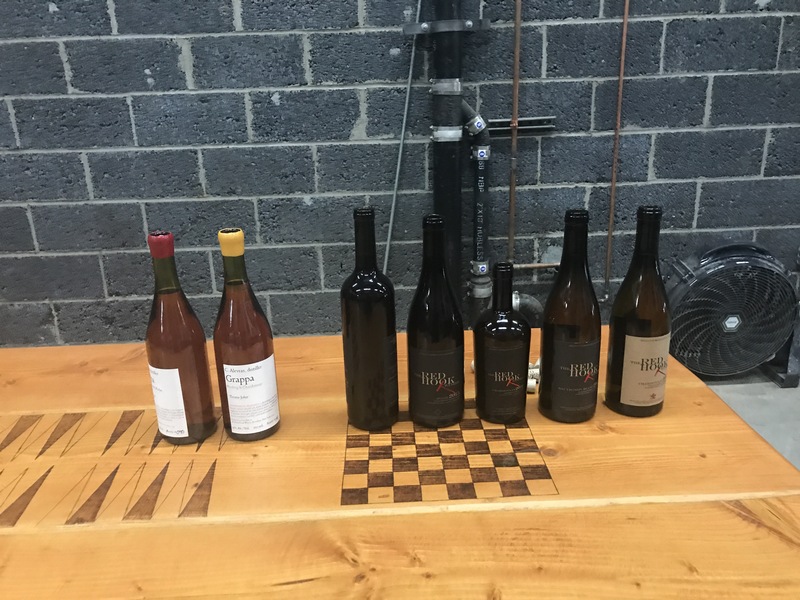 Urban Adventures also arranged for Van Brunt Stillhouse and Red Hook Winery to meet us at Fifth Hammer to check out their products as well. 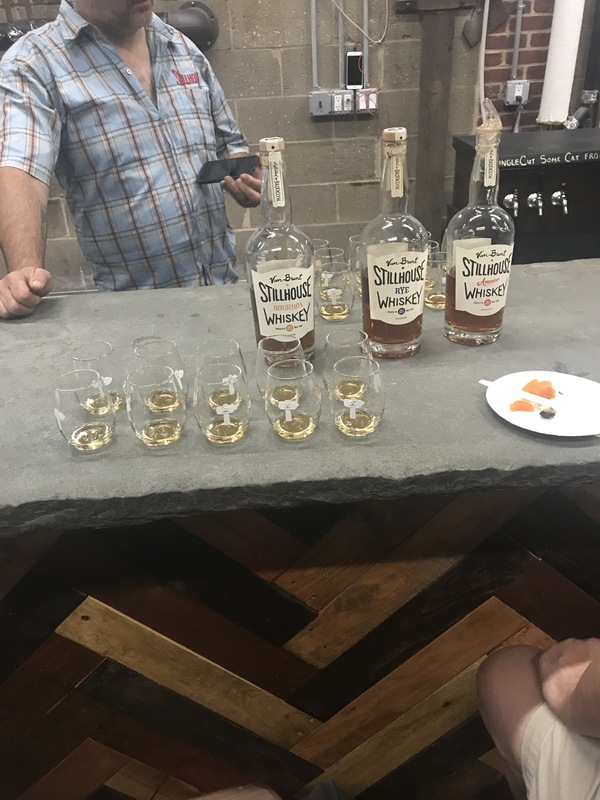 I am certainly not a big whiskey drinker but I have to say that Van Brunt Stillhouse cranks out some pretty fabulous whiskey and it’s directly related to the fact that they brew for quality not quantity. Next up was Red Hook Winery and all I can say is YUM! They have some pretty tasty wine and it’s all made right in my backyard of Brooklyn ( can’t get much more local) . If I had to pick one for you all to try it would for sure be the reserve…..so get moving and check it out. They also make Grappa, it was interesting to see that they have chosen to make it since there are very few wineries that I have visited that do so. If you are a Grappa fan it’s totally worth checking them out. 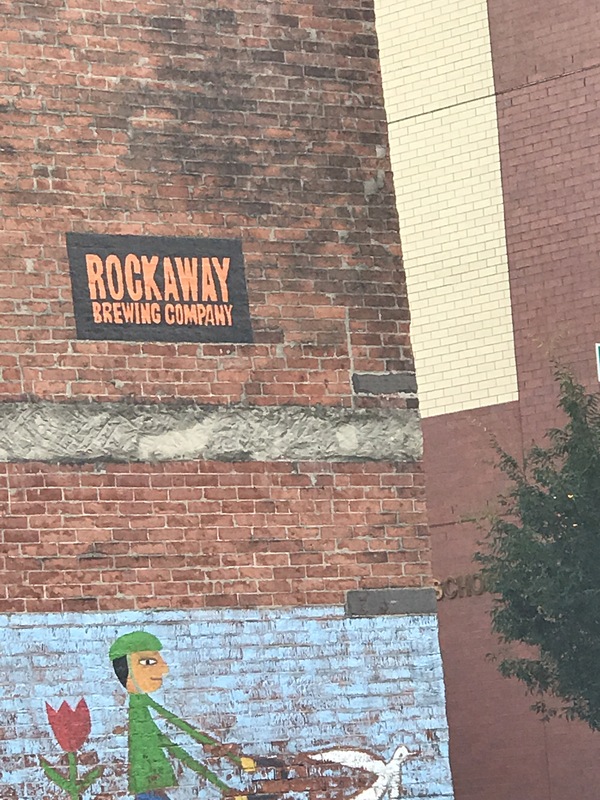 After hearing from Red Hook Winery the tour guides took us on a super brief walk to Rockaway Brewing Company, also in Long Island City. We met one of the owners there and heard a bit about his beers while also getting to sample a green hued beer they cleverly names asparagus ( super light and perfect for the summer ). Overall a fantastic time was had and I highly recommend taking the full tour with Urban Adventures, I have also been given a code for my readers so….BOOK YOUR TRIP BY SEPTEMBER 4TH WITH CODE Summer17 AND GET 4 FOR THE PRICE OF 3 (Buy 3 tickets and the 4 ticket is free)! The company let me know that the date that you are taking your tour doesn’t matter as long as it’s booked by 9/4/17 (this would be a great gift for the holidays). I also wanted to take a moment out to thank all those that organized this event and to Irbam Adventures for showing us a fabulous time.